Happy December everyone! 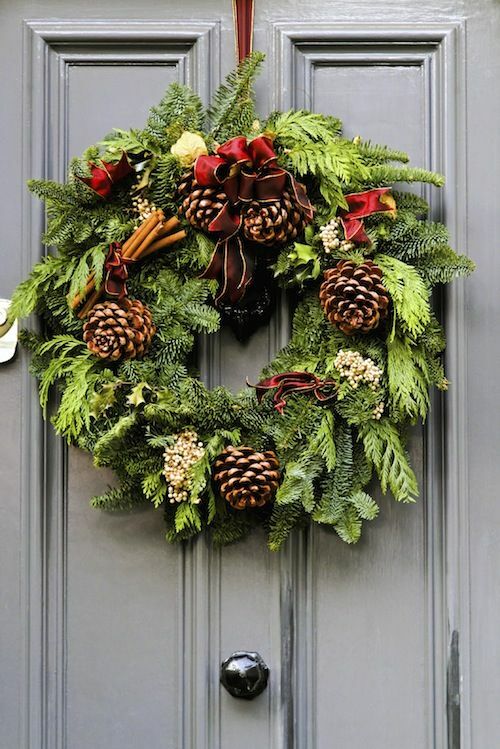 The last and best month of the year has arrived and we are in full festive decorating mood here at Lustrous! 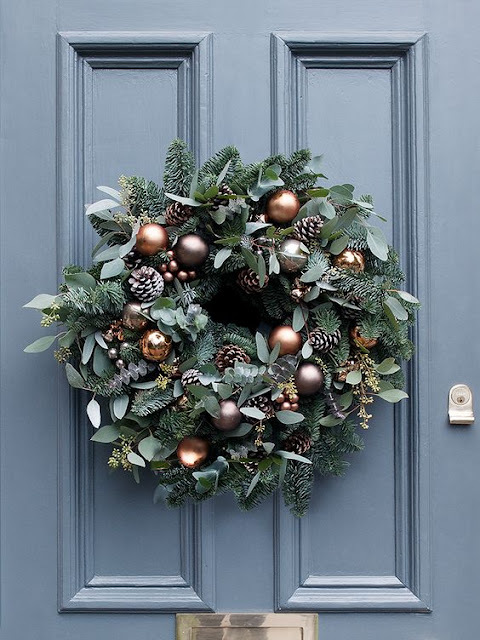 For an easy seasonal update, you can’t beat a gorgeous wreath hanging on the front door! 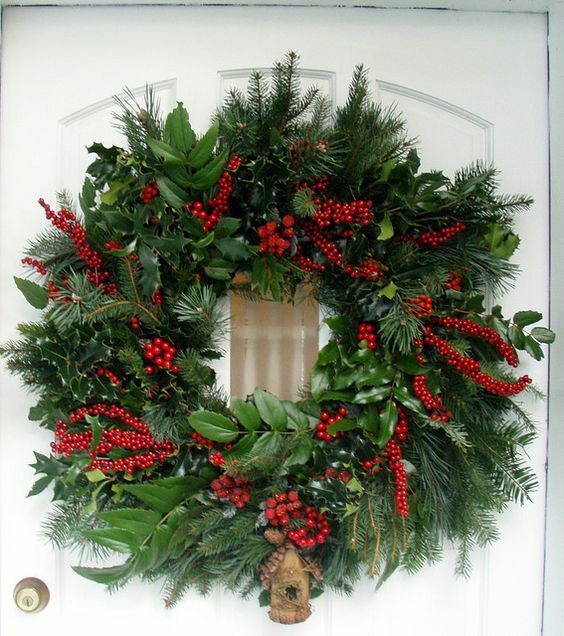 A traditional red and green wreath always looks so pretty and seasonal…. 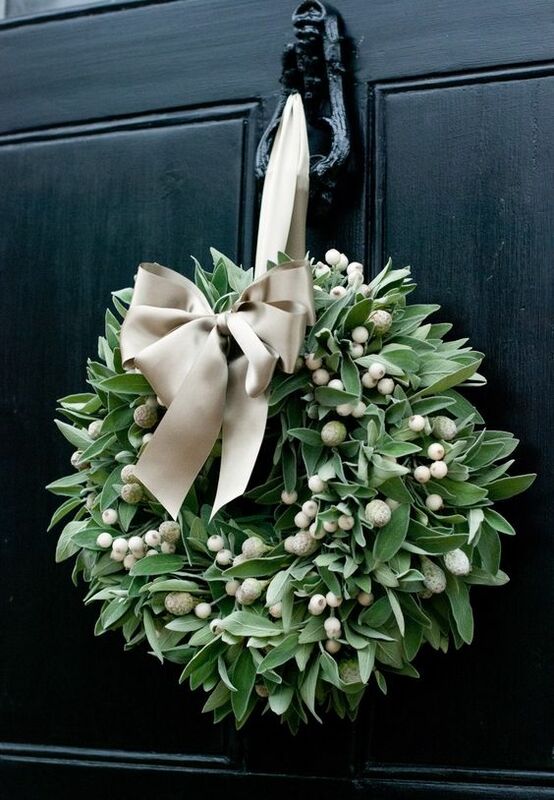 Or opt for a very pared back style, with a simple bow and silver/white berry decorations…. Another red and green style – this time with a rustic vibe due to the addition of pinecones and cinnamon sticks…. 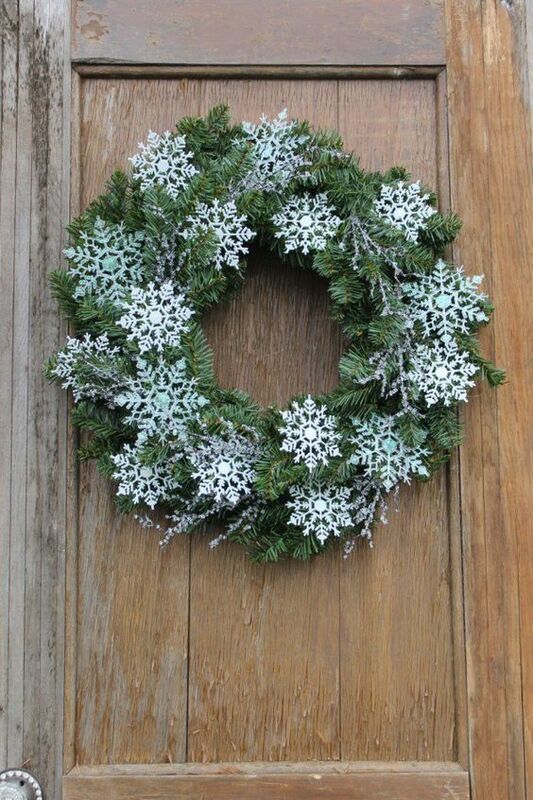 Bling it up with some pretty metallic baubles, and add a snowy effect with a can of white spray…..